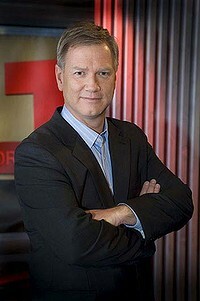 Australia’s most read blogger Andrew Bolt has not ruled out marching next ANZAC Day as a victim of the culture wars. Mr Bolt was attacked earlier this week on the streets of Melbourne by a gang of vicious glitter bombers. Police are on the look out for Mr Bolt’s attackers and are planning a series of raids of art and craft stores later in the week. In Sydney? Come and see our special encore perform of our Sydney Comedy Festival show, That’s (un)Australian! on July 7 7, 7.30pm at the Harold Park Hotel in Glebe. Book tickets here.